Manufacturer's Description Developed by London-based Beautiful Game Studios (BGS), Championship Manager 2007 is a totally new iteration of the best-selling football management simulation. Championship Manager 2007 has a completely new look with new skins, menu shortcuts and a dynamic side bar, all ensuring that every gaming taste is catered for. The introduction of an International Management option enables players to manage their country and be a part of the biggest football tournament in the world. An innovative new Match Analysis Tool is an 'under the bonnet' reveal of statistical information relevant to every player and every game including; goals scored, runs made and shots/passes/tackles made or failed. This offers each manager a true representation of the information on offer to top flight football managers. Managers will now be able to praise and criticise players in a brand new team talks feature and give individual instructions to players either pre-match or at half time and receive staff feedback on performances. Plus behind the scenes there is also a huge backroom staff of improvements including transfers, negotiations, news, media and pre-match build up along with player and club data accurate up to the closing of the August transfer window, a refined AI system and the introduction of two new leagues: Conference North and South. 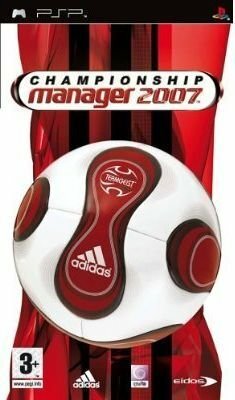 Championship Manager 2007 allows you to manage your club to glory, dealing with everything from tactics and training to transfers - everything you would expect a real-life football manager to do without owning a sheepskin coat.